Senior adviser to President Trump Kellyanne Conway claims she misspoke when she cited a nonexistent "Bowling Green massacre" while defending Trump's travel ban on Thursday. "On @hardball @NBCNews @MSNBC I meant to say "Bowling Green terrorists" as reported here," tweeted Conway, adding a link to a 2013 ABC News story on the arrests of two Iraqi refugees in Bowling Green, Kentucky after it was discovered were trained by al-Qaeda and had attacked U.S. troops in their home country. SEE MORE: How is President Trump doing on all those promises he made? 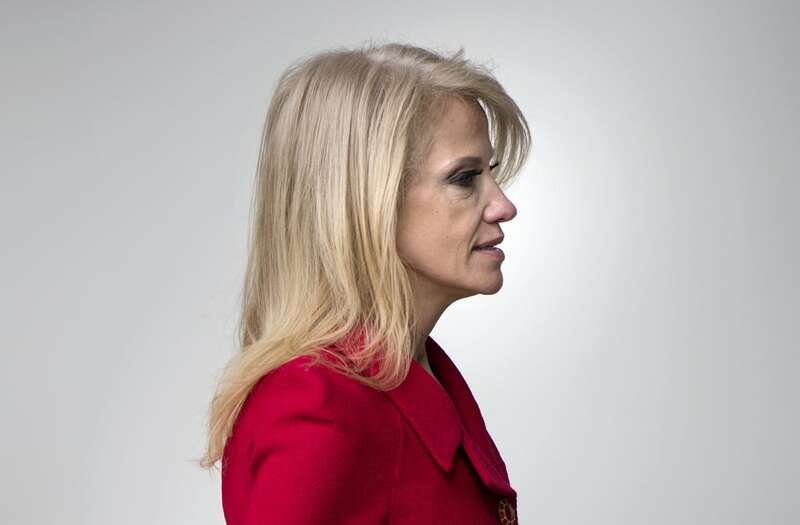 Conway called the blunder an "honest mistake," and pointed to a wrongly reported story that said Trump removed the bust of Martin Luther King, Jr. from the Oval Office as evidence the imperfection of both sides. The latest controversy surrounding Conway began on Thursday when she referenced a "Bowling Green massacre," which is not a thing, during an interview with Chris Matthews on MSNBC. "I bet it's brand new information to people that President Obama had a six-month ban on the Iraqi refugee program after two Iraqis came here to this country, were radicalized and they were the masterminds behind the Bowling Green massacre. It didn't get covered," said Conway. Quickly following the interview, the Trump senior adviser faced a host of criticism over her false statement. "Misspoke?" She either lied or was too crazy to discern history from her own hallucinations," said former MSNBC anchor Keith Olbermann. One user mocked Conway by tweeting, "Hoping @KellyannePolls finally announces sanctions on Candy Land, a country that has yet to deny it harbors tooth decay terrorists." Some on the left criticized the gaffe as an indication of the Trump administration's tenuous relationship with how facts are defined. During Trump's first week in office, Conway came under fire for making the case for "alternative facts," a phrase that quickly became a meme.